This year, the Faculty of Chemistry, Pharmaceutical Sciences, Geography and Geosciences is organizing the second Forster Summer School. This event offers Bachelor and Master students the opportunity to establish an international network and participate in interdisciplinary knowledge transfer. They get to know Mainz as a place to study and develop their language and cultural skills. The topic of the upcoming event will be Alexander von Humboldt. Alexander von Humboldt has been an important figure in various scientific disciplines, but also in public debate and discourse. The bestselling novel Measuring the World and its film adaptation bear witness to this. While Humboldt was marginalised for a long time in the German-speaking world, there was a permanent awareness of the great natural and cultural scientist in many other countries. 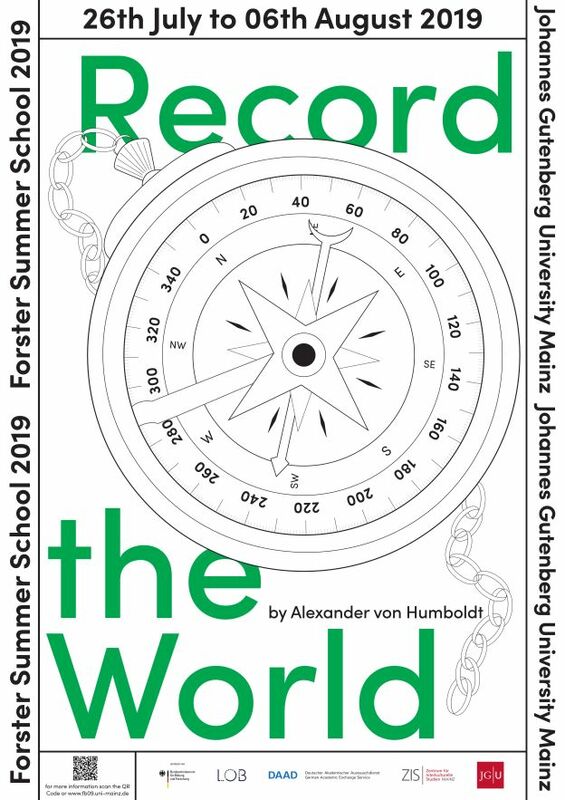 In 2019, the year of Humboldt′s 250th birthday, the Forster Summer School will systematically analyze and highlight the paths, works and effects of this outstanding researcher, scholar and writer as well as examine connections and cross-connections within the disciplines of our Faculty. The German Academic Exchange Service DAAD supports the Forster Summer School with providing 15 scholarships for non-German foreign students. The scholarship covers the travel expenses to Mainz (according to the DAAD travel allowances) and partly the accommodation. Please contact the project assistant Johannes Muecke for finding low budget accommodation in Mainz. Applications must be submitted by 30th April 2019 using the website. In dem alle zwei Monate neu erscheinenden informativen Newsletter des DAAD China werden aktuelle Aktivit?ten und Projekte vorgestellt, sowie Nachrichten aus Bildung und Forschung vermeldet. Find your MBA, Master or Double Degree at the International Graduate Center in Bremen, one of the oldest publicly funded graduate schools in Germany. Sie m?chten in Deutschland studieren? Aber Sie müssen zun?chst ein Studienkolleg besuchen? The interdisciplinary, English-language M.A. programme focuses on cultural, social, political and economic developments in modern India.